The choir is open to any and all who love to sing praise to God. 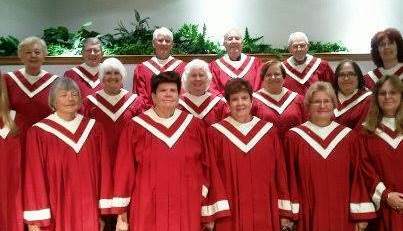 This group sings on Sunday mornings during church services. Rehearsals are in the music room Wednesday at 7:00 pm. The group is directed by Nancy Burgess and Carol Henn.